Today almost everyone has a mobile phone and most of them just can’t live without them and are just stuck to their handsets, texting and calling all the time. 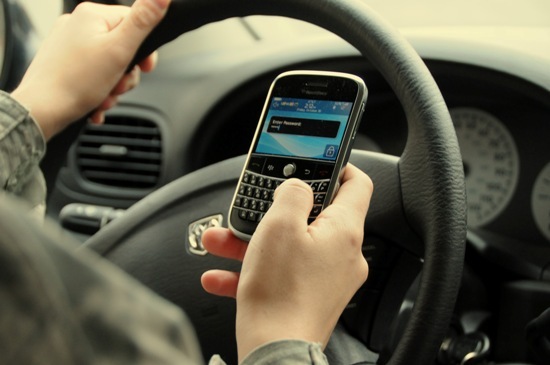 Well, according to a study texting and talking on cell phones while driving kills more than 5,000 people every year on US highways in which most of them include teenage drivers. A study which was done in 2009 revealed that texting increased the risk of a crash by 23 times compared with non-distracted driving. About 16% of all drivers younger than 20 years involved in fatal crashes are believed to be distracted by texting and mobile phone use says the National Highway Traffic Safety ­Administration, US. With a country like the US having such high number of fatalities due to mobile phone usage while driving, we can just imagine how many crashes occur in India. We advise you to not use your mobile phones while driving, if it is very urgent, stop your vehicle and then respond to your calls/texts.